At a median follow-up of 8 years, the addition of radiation therapy (RT) to androgen deprivation therapy (ADT) was associated with significantly better overall survival (hazard ratio 0.70, P = .0003) and disease-specific survival (HR 0.46, P less than .0001) compared with ADT alone, Dr. Padraig Warde reported at the annual meeting of the American Society for Radiation Oncology. NCIC Clinical Trials Group (NCIC CTG) PR.3/Medical Research Council (MRC) UK PR07 trial. Results of an interim analysis of the trial published last year showed a similar benefit for adding RT to ADT at 7 years. From 1995 through 2005, investigators enrolled a total of 1,205 patients, most of whom (1,057) had locally advanced (T3, T4, N0/NX stage) prostate cancer. A smaller number had organ-confined disease (T2, N0/NX) with either a prostate-specific antigen (PSA) level greater than 40 mcg/L or a PSA greater than 20 mcg/L and a Gleason score of 8 or higher. 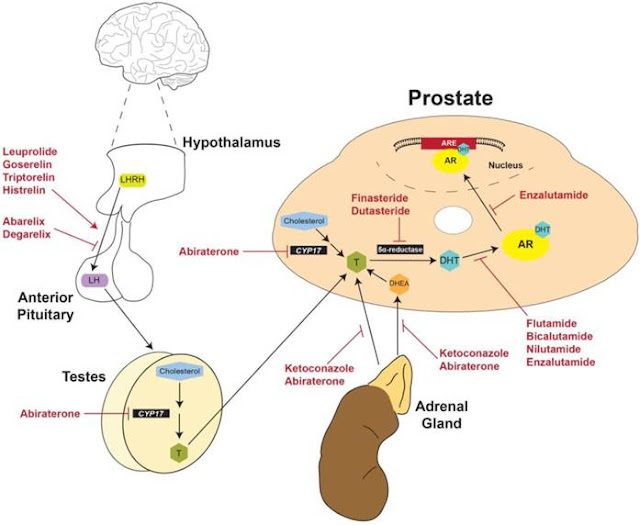 The patients were randomly assigned to receive lifelong therapy with either a bilateral orchiectomy or a luteinizing hormone releasing hormone agonist with or without 65- to 69-Gy RT to the prostate (with or without a dose to the seminal vesicles), and with or without 45 Gy to pelvic lymph nodes. In all, 602 patients were assigned to ADT only, and 603 to both ADT and RT. At a median follow-up of 8 years, 260 patients on ADT alone and 205 on the combined therapy had died. Of these patients, 199 (43%) died from disease and/or treatment; 134 had been treated with ADT alone, and 65 with ADT plus radiation. klinika + RTG plic, UZ jater. gnostikován u tří nebo více příbuzných anebo pokud u dvou příbuzných došlo k časnému vzniku onemocnění (tj. ve věku &lt; 55 let). Všichni muži nad čtyřicet let, u jejichž příbuzných v přímé linii, tedy u bratra nebo otce, případně i strýce, se karcinom prostaty vyskytl, by měli po čtyřicátém roku svého věku navštívit urologa, který zajistí preventivní vyšetření. Totéž by měli udělat i ostatní muži, pokud ale nemají pozitivní rodinnou anamnézu, stačí, když k tomu přistoupí po padesátém roce věku.